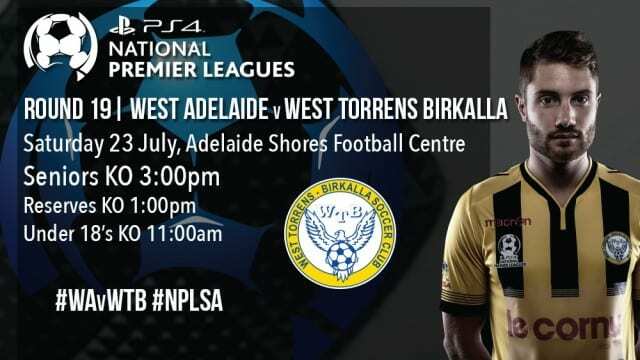 After getting the 3 points against Croydon Kings last Saturday WT Birkalla will be looking to continue their winning form when taking on West Adelaide at the Adelaide Shores Football Center this Saturday. However, the run in won’t be smooth sailing for the WT Birkalla as Blue Eagles are only four points behind and breathing down their necks. Scott Nagel said the team was chosing not to focus on Blue Eagles, instead looking towards mounting a strong finals campaing. “I feel that to obtain top spot or even second is a big ask as both (Adelaide) City and Campbelltown are in a great position and are playing well,” he said. “What we need to focus on now is increasing our intensity at training and games to make sure we are in prime performance ready for finals. Nagel said he was expecting West Adelaide to come out hard given the circumstances, but Birkalla would not make it easy for them. “We are expecting West Adelaide to come out hard, and of course, we will too. “We may not be as desperate for a win but we still want to secure third position and we can’t afford losses and losing confidence in any way. WT Birkalla would like to see as many of our loyal supporters attend the game to help get our teams over the line.